I upgraded to a new Vista laptop last year, and have been unhappy and frustrated with it from the start. When my daughter’s laptop died a horrible death, I really didn’t want to go through the same Vista pains with her, so I decided to replace it with a Mac (it’s going to be a Christmas present, so shhh!). As designated tech support for my family and friends, I started learning everything I could about Mac before she started asking questions. The more I learned about it, the more I wanted one for myself, and now that I have one, I am really kicking myself for not switching last year. It’s simply beautiful. I know it sounds like I drank the apple-flavored Kool-Aid, but the Macbook really is a marvel of elegant form and function. It feels solid and substantial, without being bulky and heavy. the aluminum design is a work of art, and I really appreciate all of the eco-friendly choices that were made regarding the components. The LED screen is brighter and clearer than my old laptop’s LCD screen. Looking at them side by side, the difference is amazing (and my old laptop was marketed as a portable entertainment PC, with an upgraded screen). I don’t know what kind of LCD screens some of the other users have, but the Macbook screen is far superior to any notebook screen I’ve ever seen. The back-lit keyboard is great – no more keyboard light needed. The keys have a solid feel to them, they’re not mushy or noisy like some keyboards can be, they’re just right, and the key layout is just like a full-size keyboard – no more hunting to figure out where the heck the backslash key is hidden or hitting the wrong key because your pinky slipped off of an undersized shift key. I’ll admit that I couldn’t figure out the trackpad at first, but I felt like a dork once I realized how simple it is. I did change the settings so that I can tap to click in addition to pressing down on the trackpad (since that’s what I’m used to). It’s just incredibly easy once you get going. Swipe two fingers down the pad to scroll, swipe four for expose, tap with two fingers for secondary-click… it does more straight out of the box than my old highly-programed touch-pad. And after about an hour, the gestures become second-nature. As far as the built-in speakers go, they’re nicer than I expected, especially since I can’t figure out how the heck they fit any speakers into such a tiny case. Seriously, it’s like the whole case is the speaker. As I type this review, I’m listening to the album Paradise Lost by Symphony X and It sounds pretty good to me. of course, it sounds even better played through my Klipsch Room Groove, but um.. hey… they’re integrated laptop speakers – though they are very nice ones. There are only two USB ports, but since the keyboard and trackpad are so functional, you won’t need external input devices (though a number pad is a must for me when doing a lot of data-entry). I only use USB for external storage and synching my iPod, so it’s not a problem for me (my iPod touch has a program that lets it act like a number pad when I need one). If I ever need more devices at once, I’ll get a USB hub. Now, it’s confession time: As a Windows-centric IT Professional, I never liked Apple much, and I spent many years making fun of Mac and Mac users. 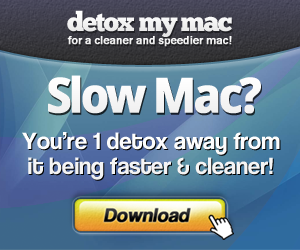 When OS X came out, I couldn’t justify further ridicule, so I just ignored Mac whenever the subject came up. After using Leopard for a short time, I can tell you that I don’t have the appetite to eat the big heaping serving of humble pie that I’m owed. Leopard is slick and smooth and oh so fast. I’m truly enamored with iLife and iWork, and Time Machine is just about perfect (better than shadow copies, for the Windows guys and gals). It’s packed with a lot of little things (like Spotlight and Preview) that are unobtrusive and helpful, which is a vast improvement over Vista’s annoying and unhelpful features. So, now I’m a happy convert. I still have two programs that are Windows-only (until I find replacements), and I still go back to my old (1 year old) laptop occasionally (for just the two, I don’t want to bother with Boot Camp or Parallels). I hate going back to Vista after using my Macbook. Even though that laptop technically has higher RAM and processor specs than the Macbook, it’s slow and clunky in comparison. I always sigh in relief when I can put it away again. Summary: The new Macbook. It’s incredible. With faults. That’s all I’m going to say for my introduction. Read on. The product physically is very sturdy, thanks to the unibody construction. Normally the chassis would normally consist of various small parts. So instead of taking a small piece of aluminum and adding more aluminum, Apple has taking a big piece of aluminum and subtracted from it. Thus creating a sturdy, yet light laptop. I have heard that the aluminum interferes with internet connectivity issues. I do have to say, unfortunately, it is true. I put the Macbook and my old PC laptop side by side, and the PC was able to pick up better frequency and more networks. Now for the multi-touch trackpad. It is made from glass, but it feels like there is a covering on it that doesn’t nearly have the friction of glass. Clicking and moving the cursor is very easy and enjoyable, with the very large surface. Right-clicking can be done with by clicking with two fingers or by clicking one of the bottom corners after being manually set. It should also be noted that only the bottom 3/4 of the trackpad is clickable. The multi-touch gestures are fun to use, but are truly unneeded gimmicks that could be done easier with a click. I’ll just go through the gestures now. The first is scrolling with using two fingers by swiping your fingers vertically or horizontally depending on the page. Secondly you can rotate a picture using two fingers apart and rotating. The third gesture is holding the control button and scrolling vertically to zoom in on a page. Swipe with three fingers to navigate. You can do this to go forward or back on a page, or changing a picture. Swiping vertically upwards allows you to clear everything off your desktop. Swiping vertically down launches Expose. Swiping horizontally in any direction lets you change and view your running applications, which can also be done with command+tab. On the bottom of the MacBook there is a panel that allows for easy access to your battery and hard drive. This will be handy to many people. The keyboard is just like the Air, with the spaces between the keys. This creates a very nice typing experience, and are backlit if you purchase the 2.4GHz model. A major letdown by Apple is the omission of a FireWire port. This is very disappointing to many people, but doesn’t affect me at all. Nowadays the average users don’t use FireWire too much. Although I do see this as a major problem for professional applications. There is also a battery life indicator on the side of the base that glows green to show the rounded percentage of your battery. Of course the MacBook has the great Mac OS X Leopard software. It is very fast, and has good security. The battery life is advertised to have 5 hours of battery life, but Apple obviously means not being connected to the Internet, and having no applications running. You’ll probably get about 4 and a half hours with Safari and other apps running. Unless you have a lot of apps on like me, then you’ll maybe have 3 and a half to 4 hours. With the NVidia graphics card, the screen looks pretty good, as do games. I do have to admit, though, the new MacBook Pro screen looks better, especially with blacks. Still, games really pop on the gorgeous glossy screen, unless you are in a bright area. The glossy screen of course attracts bad glares and many noticeable fingerprints. Still, if you are indoors or someplace with low light, the glossy screen is perfect. I mostly use it inside, so I wouldn’t trade the beautiful glossy screen. Although for those coffee-shop typing folks, this could be a deal-breaker. Other than these things, Mac OS X is the same, really. If you have purchased a MacBook anytime soon, then I would not suggest you purchase this one. Most of the differences are the physical attributes, and the software is pretty much the same. I work as an IT manager, overseeing about 4000+ client computers. About one-fourth of them are Macs. I myself am a long-time Mac user, currently using a dual-quad Mac Pro and a 1st gen white MacBook, which I love both of them. Full disclosure: I do not own this new MacBook (although I had planned to upgrade), but we bought several for evaluation purposes to determine whether they would be purchased in larger quantities. I have used one for almost a week now and have developed a love / hate relationship with them. The unibody is a beautiful design, and makes for a rigid and solid feeling notebook. I like the fact they’ve make it easier to perform hard drive and memory upgrades. The battery indicator on the side is a nice touch, instead of on the bottom, but I admit, I never used it that much, since I tend to check the battery life when it’s on and I check it on the menu bar. Once you get used to it, the new trackpad, it’s a delight to use, and the new finger gestures are useful. The new DisplayPort also seems to work well enough, although once again, new adapters will have to purchased. Some people have complained about the lack of HDMI, but if you read the specs for the DisplayPort standard, it really takes us into the next generation of video display and is a better standard, IMHO. Finally, the new graphics update is much welcomed. Graphics performance has substantially been increased, and the 2.0 GHz machines we’re testing are pretty snappy when using graphics intensive tasks. We don’t play games with these, but I’m sure gamers will welcome the change. Our Pro Apps are noticeably faster. Naturally, this new manufacturing process has to cost Apple more, but we didn’t except to pay so much more for a computer with worst [basic] specs than what we were getting in our purchase of the white and black MacBooks. Except for graphics performance, our CPU benchmarks are very lackluster in comparison. Our IT budget is very tight right now, and it’s going to be hard to justify a purchase with so little difference in performance. Respectively, each model, compared to the MacBook model it replaced, is only 6% and 12% faster. 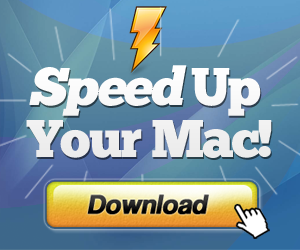 These benchmarks have been independently verified by many Mac-related websites. Several of our early testers are complaining about the ultra-glossy (or glassy) screen and the quality of the display itself. Our offices are brightly-lit and it takes quite a bit of adjustment to properly see the screen without severe glare. This isn’t as noticeable in low-light environments, but we also see poor side-to-side viewing, meaning you almost have to look at these dead-on straight to see a good image. Comparing it to earlier MacBooks and MBP’s, these new models are much worse. Fingerprints are much more noticeable also, and the glass front bezel seems to be a fingerprint magnet. That’s not a big deal, but they complained that calibration doesn’t help the color flaws in this new display. These use LED displays, as opposed to TFT displays that the previous MacBook had. I think it’s just a cheaper panel, because other reviews have had no major complaints with LED displays in the new MacBook Pros. Lastly, and most important to me as a technician, is the lack of a FireWire port. Many of my peripherals are FW and also I frequently use the Target Disk Mode (TDM) in my job of diagnosing, repairing, saving and migrating data from other Macs. Even though I had planned to upgrade, I now have no choice but to keep what I have. Also, our Media department will not be getting upgrades. They also use video and audio FW devices that cannot be substituted or re-purchased simply because Apple choose to leave FW out on this model. Not only is cost an issue to go to a MacBook Pro, but many of us liked the smaller footprint of the 13″ model. I find it ironic that Apple increased the graphics performance to use their Pro Apps more effectively, but left out the very port that is used to import the video and audio files for those Pro Apps to work with? Many of us would have even traded the ethernet port for the FW port, since you can get a USB to Ethernet dongle. Also, since our department uses cloning software to quickly install drive images for our clients, this will affect us dramatically. USB, is not only much, MUCH slower, but less reliable. You have to turn off any software that may execute during the clone. In our tests, we found something as small as “Little Snitch” coming on during a clone install, is enough to choke a USB drive to almost stopping the clone process. It’s a much slower and more unreliable process.